From Award-winning author of Breaking the Silence, Poetry and Ponderings by Diamante Lavendar. A raw collection of religious poetry and prose based on one Christian woman’s experiences of being abused, and how she healed herself with God’s love in order to move past the assaults. Poetry and Ponderings is the most loving and beautiful dedication to Diamante Lavendar's daughter. Anybody who has gone through a grieving time needs to read this classic expression of love and devotion. I tip my hat to the author for this marvelous collection of wisdom, insight and truth. -Mel Novak, Actor, Best known for his role in Bruce Lee's Game Of Death. Tragedy turned triumph. Poetry and Ponderings beautifully leads the reader from gut wrenching pain to glorious freedom and healing. A must read for survivors and those who love them. -Sarah Boes, Founder of More Precious Than Rubies, reaching victims of commercial sexual exploitation. Diamante Lavendar has been in love with reading since she was a child. Diamante believes that everyone should try to leave their own positive mark on the world, and to make it a better place for all. Writing is her way of leaving her mark—one story at a time. 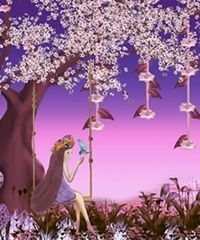 She began writing in college and has published poetry in anthologies over the years. Most of her writing is very personal and stems from her own experiences, and those of her family and friends. She writes to encourage hope and possibility to those who read her stories. 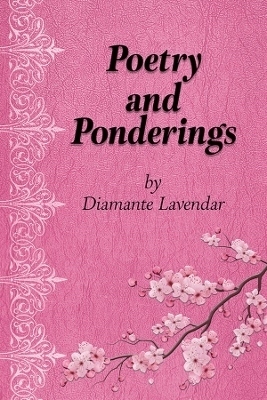 To learn more about Diamante Lavendar and her books, please visit her website at: www.diamantelavendar.com.